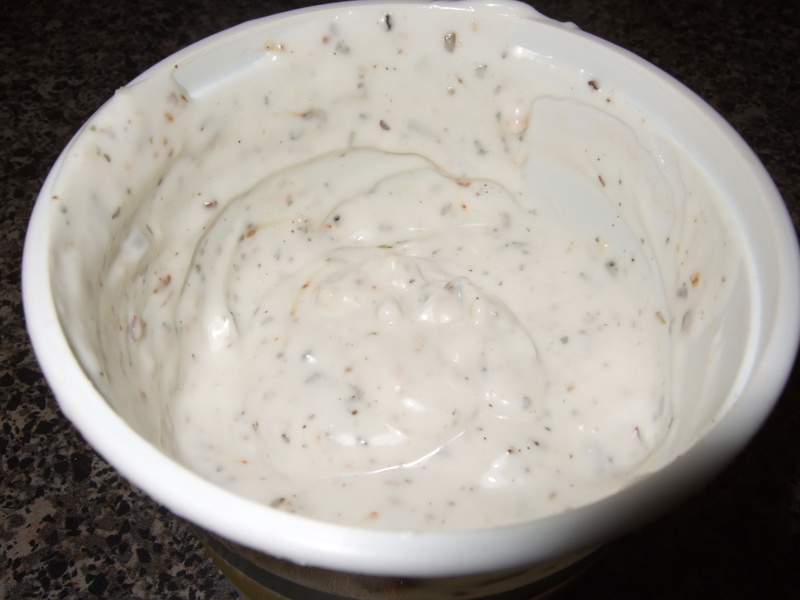 Ranch dressing is great for salads and dipping vegetables. Store bought ranch dressing and dips are loaded with fats and preservatives and are definitely not vegan. Here’s a great recipe that’s super quick and easy to whip up! Start off with adding some mayo into a bowl (it will be the main base of the dressing). Add some milk, how much you use depends on how thick you want your ranch. If you want it like a dip, just add a little bit but if you want it for a dressing on salads add more. Use a fork to blend the mayo and milk. Add more milk or mayo to get desired consistency. Then go crazy with spices. I use the Italian grinders you can find which have rosemary, oregano and basil. You can also use fresh herbs or whichever dry herbs you enjoy the most. The fresh herbs won’t keep as long so keep that in mind. Add salt and pepper to taste and you’re done! This dip would also be a good dip for the fried okra recipe that I just posted! This has been my favorite salad to make lately. 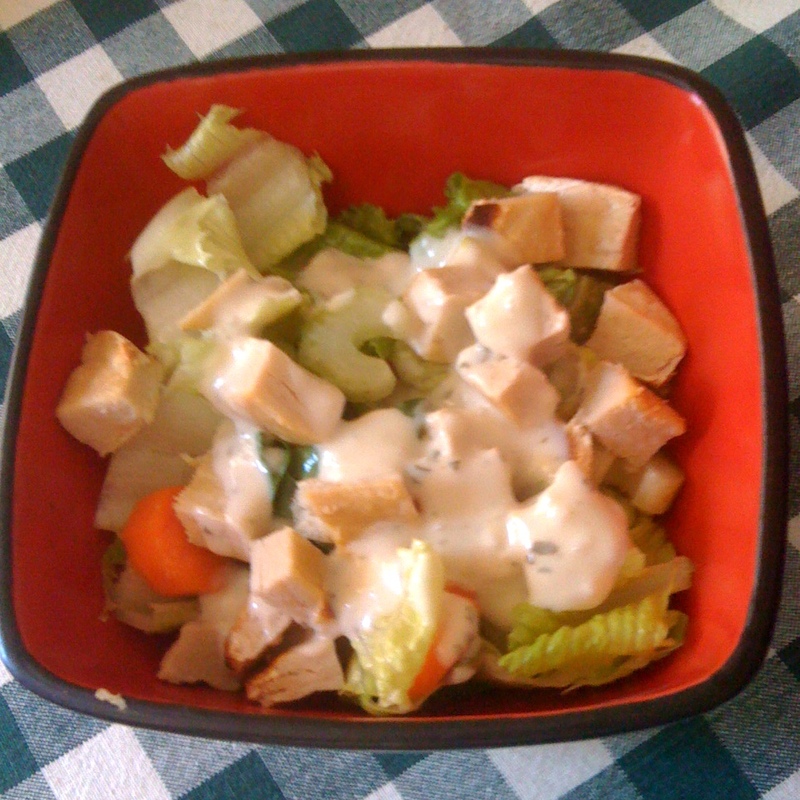 Romaine lettuce, carrot, celery, a Quorn chicken cutlet cooked and cut into cubes and Annie’s Buttermilk dressing. I usually eat a bowl this size and have extra cutlet left so then I add more salad and eat the rest. It’s super filling and yummy! I’ve also been in love with romaine lettuce lately. I used to go for green leaf, but now that I’ve been having romaine it’s all I really want. The “heart” is the best part, I love the crunchiness! A simple lunch but I love this presentation! It’s great for guests because everyone can get the veggies that they want. 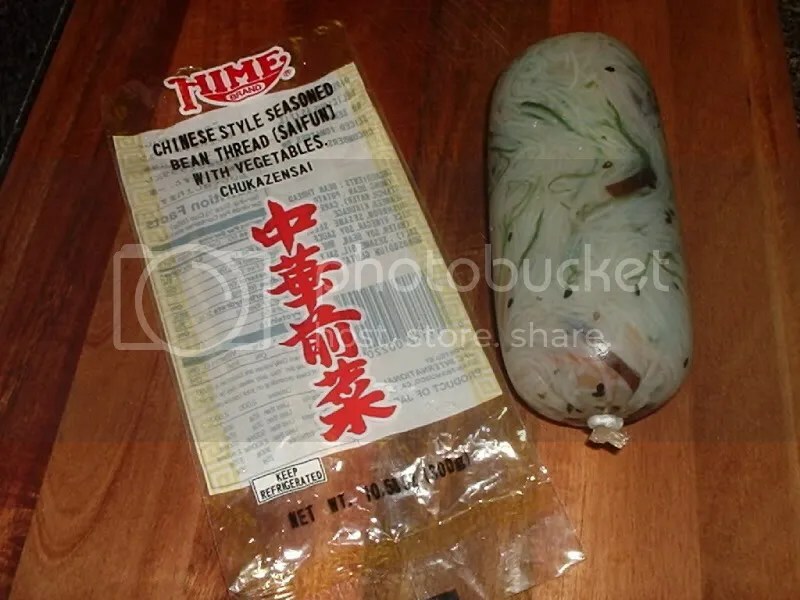 I found this salad at mmy local asian market and thought it might be pretty neat to try out. 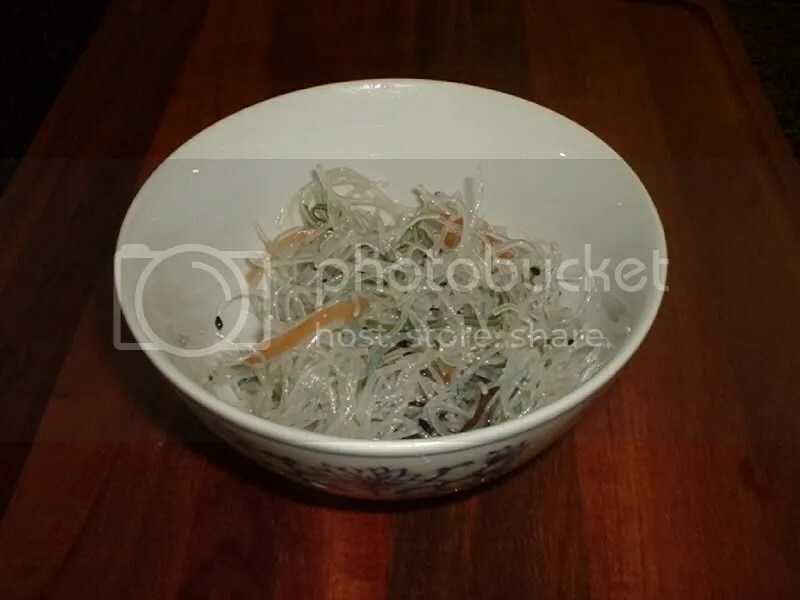 I love seaweed salad and this has seaweed, plus other vegetables like carrot mixed in with bean threads and vinegar. This salad was actually pretty good and had a taste much like seaweed salad. I was expecting the bean thread noodles to be soft, but they were kind of hard and chewy. I wish they were softer, but overall I’d give this salad a 5 out of 10. 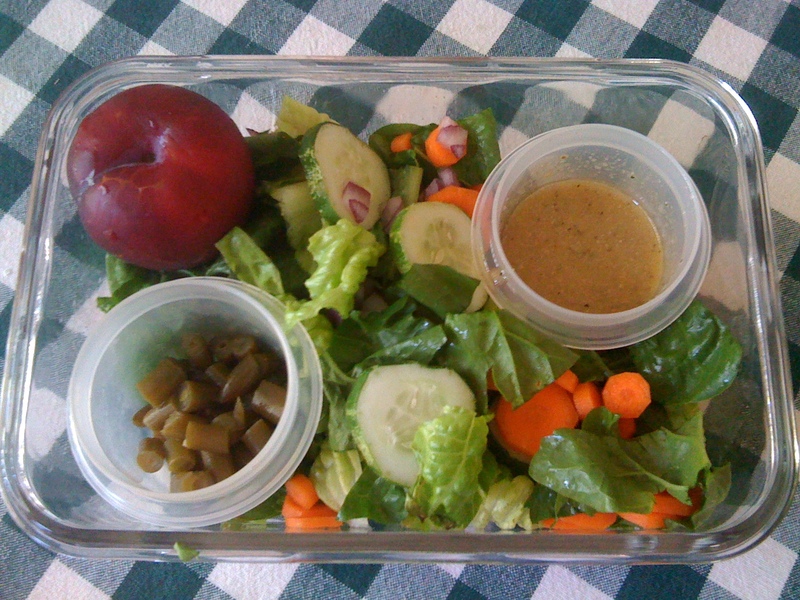 I have been craving salad lately, but I get tired of preparing a single serving whenever I’m in the mood. So I put my Lock and Lock to use and came up with this. 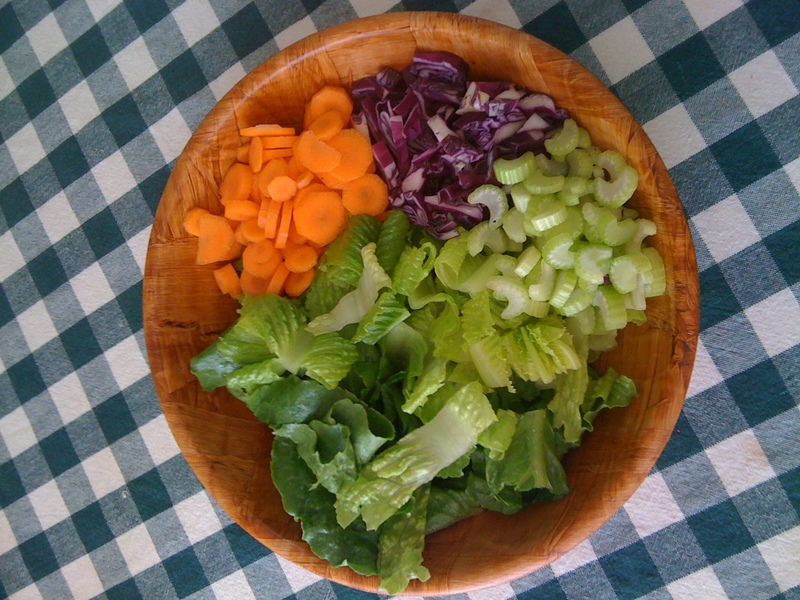 All my favorite veggies are clean and ready to go for an impromptu salad. All I have to do is mix it into a bowl and add some dressing. Plus, Lock and Lock boxes are fantastic at keeping food fresh. I’ve even tested it with finicky avocado slices and there was no brown in sight! 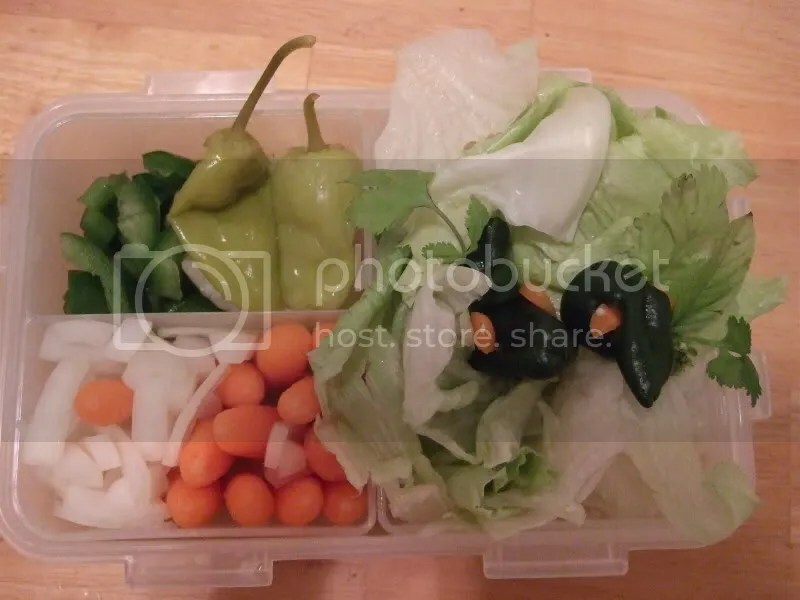 I tried to make the salad mix look cuter for the picture (the carrot sticking out of the peppers in the lettuce are supposed to be rats…? I know I’m weird haha). This would also work well for fruit salads!